Just a small group of pioneers for the September Passing of the Pioneers. While the number of obituaries now available are beginning to dwindle after three years of Passing of the Pioneers, time was more of a constraint this month. On the bright side, it ensures there will still be some pioneer obituaries to share next September. Margaret O’GORMAN: Died 9 September 1914 at Mortlake. Born in Tipperary, Ireland around 1821, Margaret arrived in Victoria around 1851. She married Patrick Finn in 1855 and they settled in the Mortlake district. Her obituary read, ‘…she was able by her lovable manner to render and dispense happiness and sunshine wherever she went.’ Patrick died thirty-four years before Margaret and she left four sons and one daughter. Margaret was buried at the Mortlake Cemetery. Charles Turner MEDEW: Died September 1914 at Allansford. Charles Medew was born in Cheltenham, England in 1837 and arrived in Victoria aboard the ship William around 1857. Charles settled in Warrnambool and working as a builder he built two bridges across the Hopkins River. He selected land near the Warrnambool Cheese and Butter Factory, and in 1914 the site was still known as “Medew’s Corner” although Charles had moved to Melbourne. Around 1910, Charles built a model airplane and it is now held by Museum Victoria. Charles was visiting his daughter at Allansford when he died. Mary KESSELL: Died 7 September 1917 at Ararat. Mary and her husband Thomas Gillies were originally from Penzance, Cornwall and arrived at Warrnambool in 1854 aboard the Panama with their infant son. They went to the Ararat diggings in 1856 were they permanently settled. The Gillies family grew to ten, seven sons and three daughters and by the time of her death, Mary had twenty-eight grandchildren and nineteen great-grandchildren. Even into her last years, Mary could recall the early days of Ararat. Her funeral saw a large turnout as the people of Ararat paid their last respects to one of their oldest residents. William HOWARD: Died 28 September 1916 at Ararat. William Howard was born in Liverpool, England and arrived in Victoria in 1853. 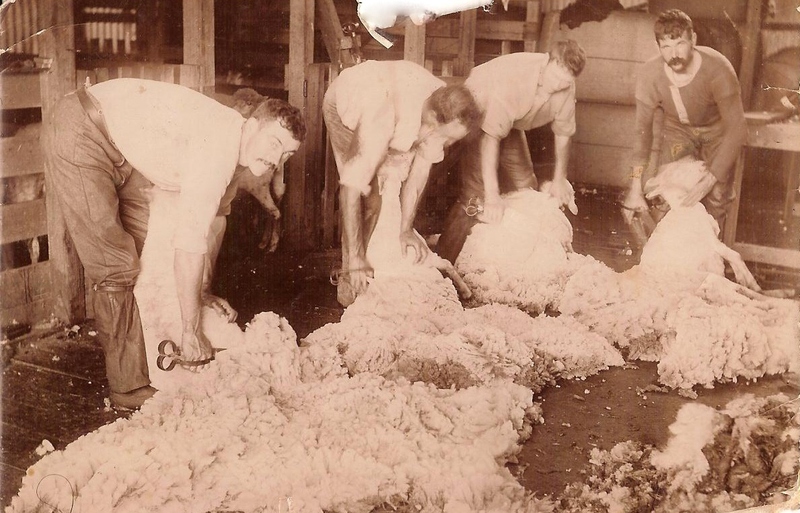 The following year he hit the diggings, first at Maryborough, then Fiery Creek and on to the Ararat region. He eventually took up the lease of the Terminus Hotel at Ararat and later he built the Ararat Coffee Palace. At the time of his death, he left a widow and three grandchildren. Thomas SHENFIELD: Died 2 September 1937 at Cobden. Thomas Shenfield was born at Camperdown in 1861. The following year his family moved to Cobden where Thomas lived out his life. He married Nellie Baker of Cobden and they had six children. 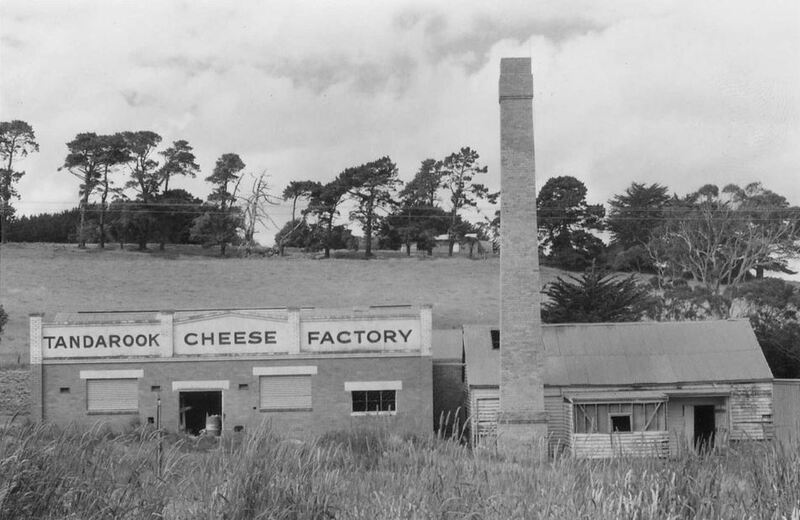 Thomas took an interest in the progress of Cobden and was a director of the Tanadrook Cheese Factory (below). He was also a member of the Cobden Methodist Church.